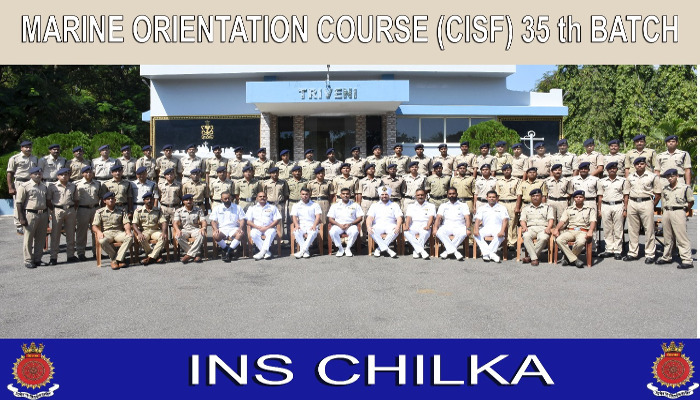 59 Central Industrial Security Force (CISF) personnel, including 03 Sub-Inspectors and 56 other ranks, underwent a Marine Orientation Course at INS Chilka from 22 October to 02 November 2018. 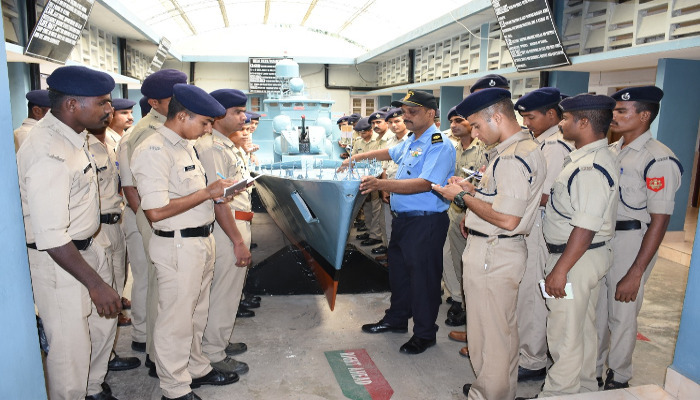 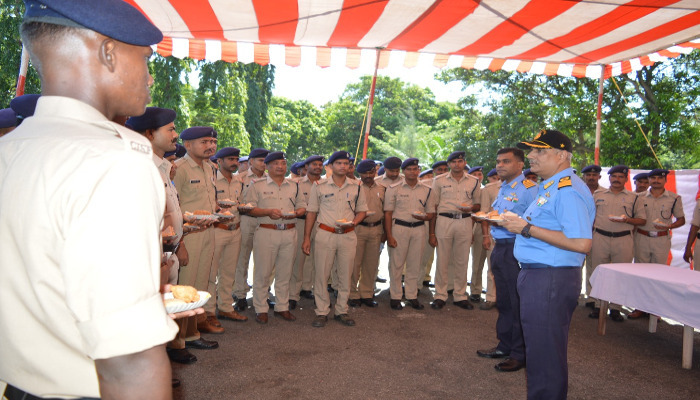 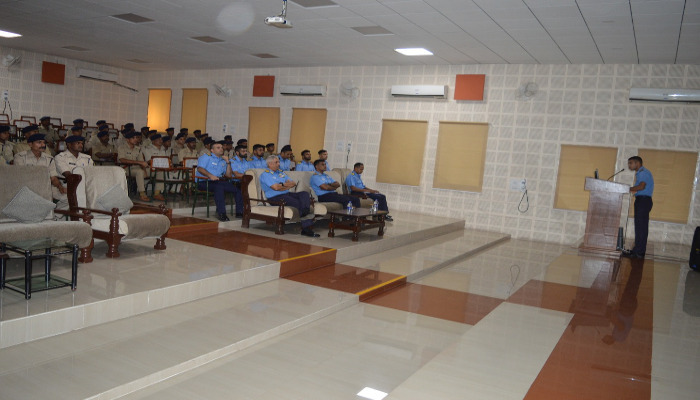 The CISF personnel were imparted instructions on various naval subjects including International Regulations for Prevention of Collisions at Sea, navigational equipment, chart work, basic seamanship, survival at sea, Visit Board Search and Seizure operation and firefighting. 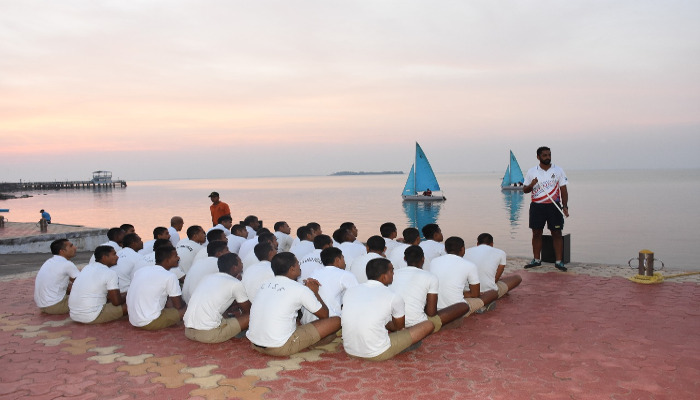 In addition, regular sporting activities between CISF personnel and INS Chilka trainees and Ships Company were conducted during the course. 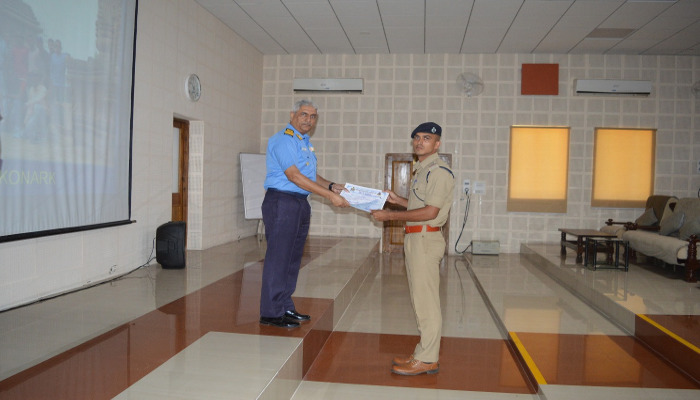 SI/ EXE Amit Kumar and CT/ GD Vikas Kumar Singh stood first and second respectively in the course and were awarded certificate of merit by Commanding Officer INS Chilka.